The market for Renaissance swords was once quite a vital one. 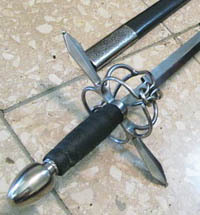 Many good quality, decent functional replicas (cheap stainless Zorro' and 'Three Musketeer' swords aside) made primarily by two sword companies - the Hanwei forge and Windlass Steelcrafts, appeared on the market, and price competition was cut-throat. That was until sometime in 2010, when the entire sword industry was in crisis mode due to the economic situation of this time.. 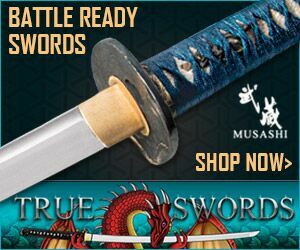 Considering that Renaissance swords are a niche within a niche, and no-where near as popular as the 'staples' of the production sword industry (medieval and Japanese swords respectively) these companies did their best to keep them in production, but over the years nearly all disappeared..
As such, there are a lot of discontinued product reviews in this section - but thankfully in recent years there has been a minor recovery for affordable renaissance sword replicas. And the high end replicas have always been around - and probably always will be - so note that there are quite a few more high end replicas mixed in here to provide the best selection possible.. Anyway, with this caveat out of the way, our journey through the gentlemanly era is in roughly chronological order, starting with the transitional side sword and ending with the ultimate gentleman's sword, the sword cane. Side/Cut and Thrust side swords marked a kind of halfway point between the medieval long sword and the smaller, lighter rapier. Tapered to a fine point, these swords still possessed the weight to make a savage cut, and were deadly even in the hands of an inexperienced fighter. However, they failed to gain the popularity of other weapons on the battlefield, as its design could not withstand the rigors of prolonged heavy combat. They became commonplace in Spain before moving elsewhere in the early to mid 16th century, and then disappearing entirely. Sadly, there are few modern reproductions of these swords. 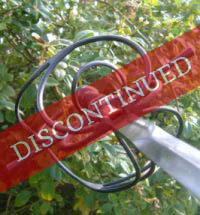 But there is at least one that is still doing the rounds..
By the year 1600, the ultra-thin Rapier came available. 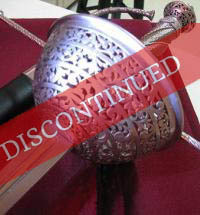 It's unique geometry was especially suited to fast-paced thrusting-central combat, and a number of non-combat versions became popular with various fencing schools. 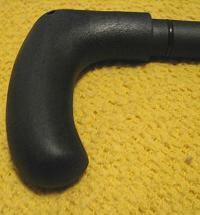 The blade is typically a meter or more long, and about 2.5cm or smaller in width. As mentioned, their primary purpose is to thrust, but many were capable of giving cuts as well (though to a lesser extent than the Side Sword). 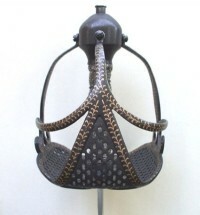 While effective in combat, many were made with ornate handles and guards, and it was often seen as a piece of jewellery or accessory. 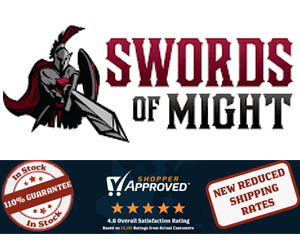 These swords are made popular by movies like The Three Musketeers and The Count of Monte Cristo, although their use in these movies is obviously played up for entertainment value. 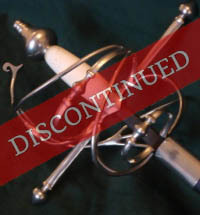 Out of all the various Renaissance era swords on the market, it should come as no surprise that the Rapier is the most commonly replicated - and at one point there were quite a few sub $300 replicas available - but not so many affordable ones now.. 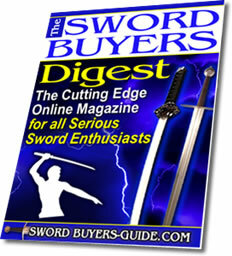 Most are as you might expect, rather specialized swords and reserved for the conoussier - and we review them here too.. So let's take a look at what is currently available for functional rapier replicas - some that are spot on and some that almost got it right..
Hanwei Torino Rapier. 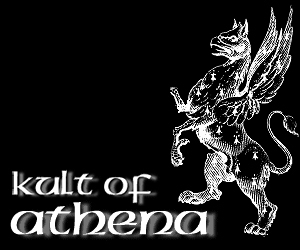 Quite ornate and attractive in its own right, but not all that historically accurate. 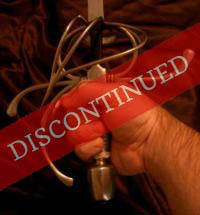 A lot of fun though (4 star rating) and a shame that it was discontinued (was my own first experience with a rapier). Hanwei Taza Cup Rapier. Was very ornate and attractibe, but far too expensive for what it was (lowest price was over $400, which for a Hanwei rapier, was really just too much). 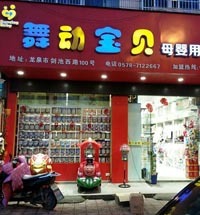 Otherwise not a bad replica. Hanwei Solingen Rapier. Nice enough on the outside and looked like a real winner at first, but was let down by what is 'under the hood'. 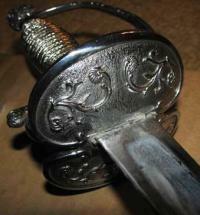 Worth reading if only to know what to look out for..
Hanwei Bone Handed Rapier. Looks good, fairly historically accurate and handles well too. But quite a few annoying little issues add up to a less than stellar sword and pretty average overall considering the $324 price point.. 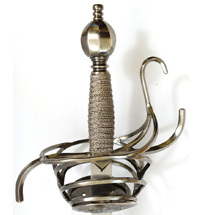 The Rapier was very popular, but smaller swords began to become the norm for use in the crowded city streets. 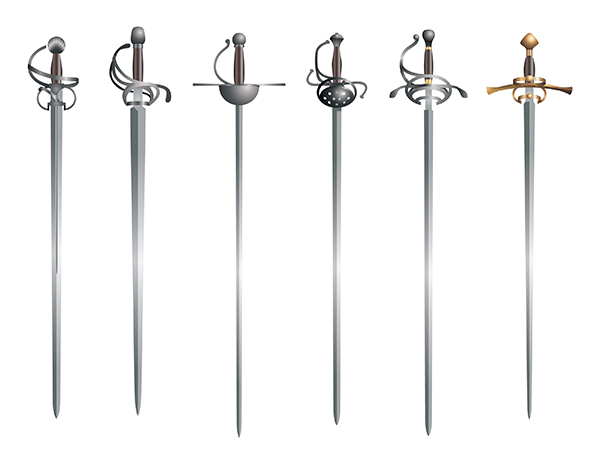 These were the aptly-named Smallsword (also sometimes called a court sword), which was in widespread use from the mid 17th century up until the late 18th century. Much lighter and faster than the rapier, these saw very limited military use and were considered to be civilian weapons. 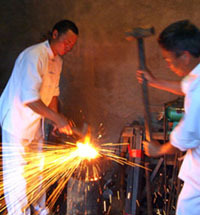 Blades were about 60-80cm in length, and were rarely sharpened with a cutting edge. 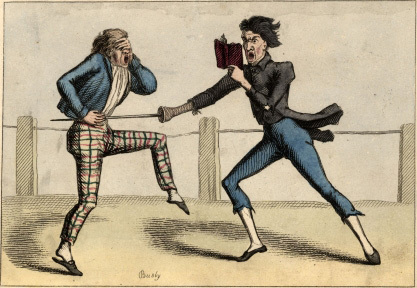 The use of such nimble weapons increased the value of footwork to duels, and helped lay the foundations for what would eventually become the modern sport of fencing. 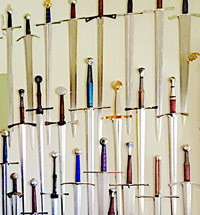 Most of the Smallswords available (not that there are that many) have fencing blades. 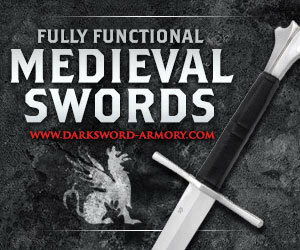 But one notable exception is the Cold Steel Smallsword, which we will take a closer look at below. 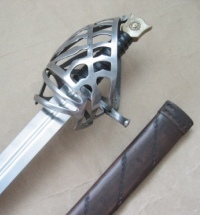 Made popular by movies like Rob Roy, the Scottish Basket-Hilted sword seems to belong more comfortably with Medieval swords than with Renaissance swords, as it has a thick blade designed primarily for chopping. 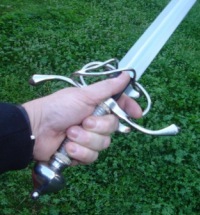 However, these swords came into widespread use during the 18th century, as the Scots were loath to start using lighter, thrusting-focused weapons like the Rapier. 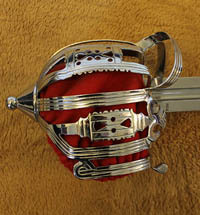 Basket hilted swords were not purely a Scottish sword however, and included the uniquely English Mortuary Hilt Swords and the Italian 16th and 17th century Schiavona. 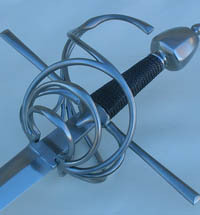 Cold Steel Basket Hilt Broad Sword: Cold Steels Basket Hilt Broadsword often looked like a spaceman's sword on promotional pics. 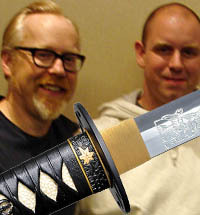 Up close, it looked somewhat different - but when the crisis hit in 2010 I would dare say that the promo pic helped seal it's fate..
Hanwei Mortuary Hilt Sword: My first exposure to a Mortuary Hilt sword was a lot of fun and helped me to really appreciate Renaissance swords in general. A shame to see this one go. 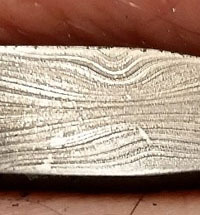 While there are not a huge amount of online resources for fans of Renaissance swords, below you will find three that demonstrate that quality is often better than quantity. 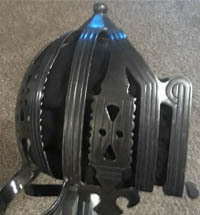 The first is the photo album at MyArmoury.com which has literally HUNDREDS (if not a few thousand pictures) of antique basket hilt swords, Rapiers, Schiavona, small swords etc (as well as other weapons and medieval swords). 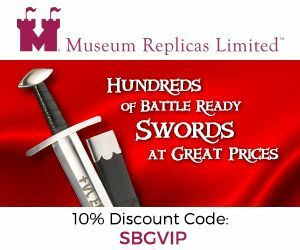 Definitely worth a look to see some genuine renaissance swords. Another excellent online resource for Renaissance swords is the Catalogue of European Court Swords and Hunting Swords, which is the full extract of the 1929 publication by Bashford Dean, originally published in Paris by the Metropolitan Museum of Art.